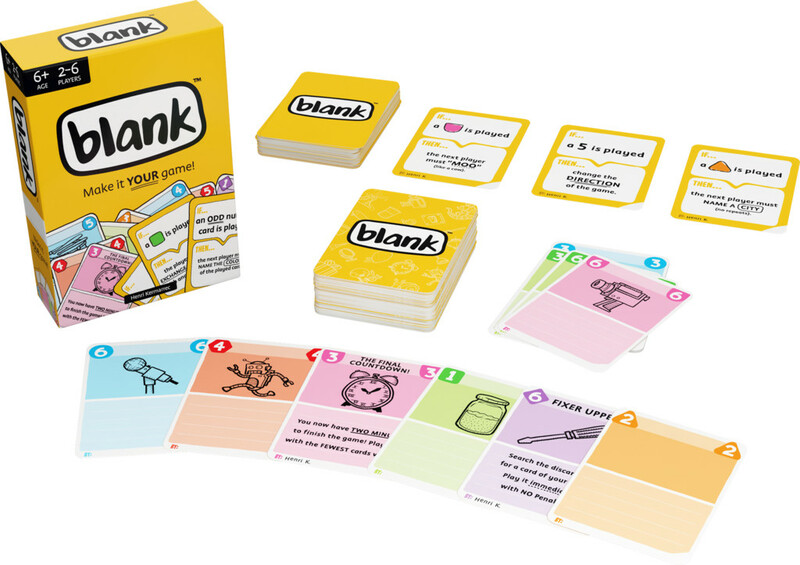 BLANK is the fast and fun interactive card game you customize with every win! As you play, you create new rules and card effects, making your copy of BLANK unique. Be the first player to get rid of all of your cards. Watch out for the Rule Cards or you might suffer a Penalty. Keep your eyes peeled for Game Card effects that might change the course of the game. Not only does the winner enjoy the glory of victory, they also get to create a new Rule Card or customize a Game Card. Winning means you get to make your mark, changing the game forever! The game comes with 72 Game Cards, six of which come pre-filled with illustrations and game effects. Thirty are fully illustrated, and the remaining 36 are ready to be customized by winning players. There are also 38 Rule Cards included, with 14 made to get you started, and 24 blanks for you to add to the game as you continue. 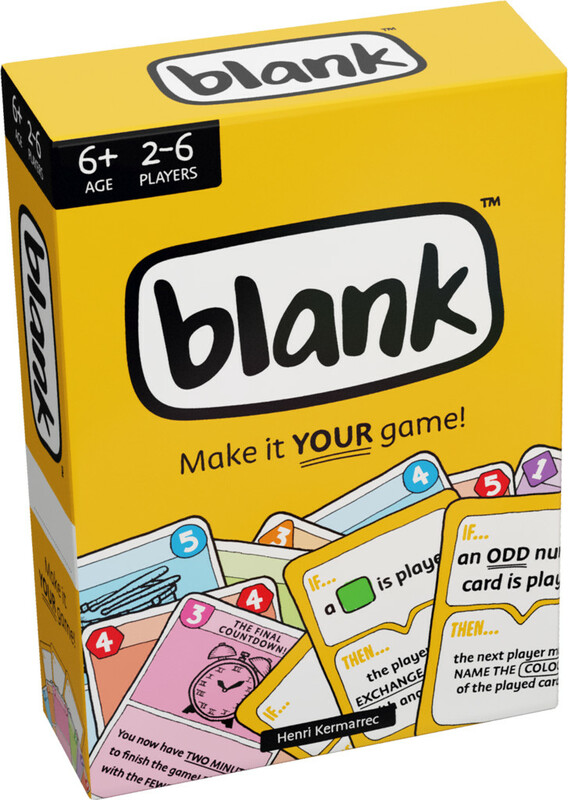 As the games continue and more cards are added, your copy of BLANK will evolve into a unique snapshot of your gaming group or family. Share your favorite rules with friends or the wider BLANK community! Your favorites may even end up in future versions of the game!